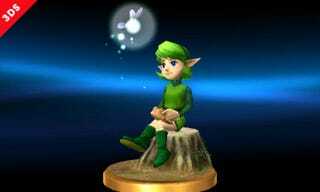 That's right, Saria has been confirmed as a new... trophy. "There will be trophies in the 3DS and Wii U games, and each version will boast different types and models. The 3DS trophies will be mainly from handhelds and the Wii U version will feature trophies from the home-console games."